I was quite excited from early on. Our team of two (Basanta Dai and myself) were heading towards far-west Nepal on January 12th. 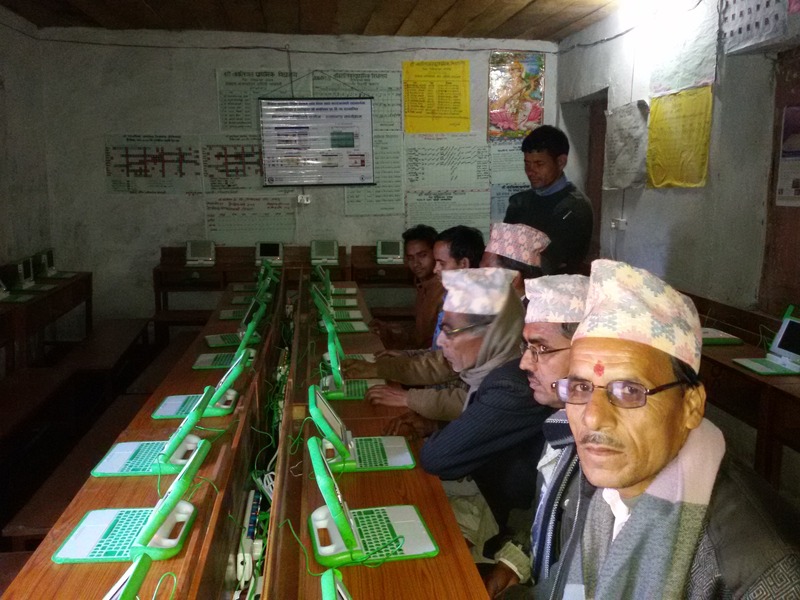 It was my first visit to far-west – Bajhang to be specific, and my first experiences of deploying XO (E-paati) laptops. I had my bags ready with necessary stuffs for two weeks long visit. In addition of being a person who loves traveling, this visit had an important value of its own. We were deploying 300+ XO laptops to thirteen schools in remote location where most of the teachers and students were using computers for the first time in their lives. After staying one night at Dhangadi, district headquarter of Kailali, we loaded our vehicles with laptops to be deployed the next day. We started our journey towards Bajhang at 9 in the morning and reached our destination Jhota Bazaar in evening where we were staying for next few nights during the deployment at nearby schools. Starting our duties, we handed over the laptops to the school representatives and headed for deployment. We were working with two separate teams comprising of a technician and a volunteer. My team conducted total of six new deployments and one support visit while the other team headed by Basanta Dai conducted around seven deployments. We had systematically planned to meet after completing deployments in each cluster to share our experiences. Our adventure began by climbing a hill to the school from bazaar named Bagthala. We were heading for a support visit. We had two students guiding us on our way to school which was alarmingly inclined and narrow. I was quite surprised by the physical structure of the area where the school was located. We visited our first school but the journey was not over yet. We walked for four hours more to reach another school. Teachers were walking along with us to guide us through our way. Returning back, it took us six hours of walk to reach our shelter. We were so tired and could not wait to have a good sleep. Next morning, we woke up to a beautiful snowfall on the nearby hill. The beauty took our remaining tiredness away. 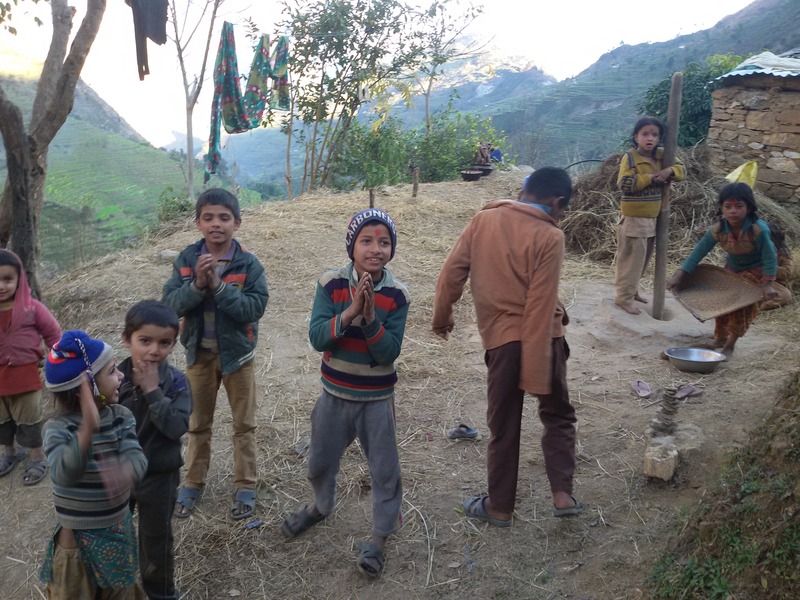 While fulfilling our agendas of the trip, I also experienced new things about the people of Bajhang. People there, especially children, processes fresh rice (Dhaan) and flour on their own. Each evening they have their duty to process the rice for next morning. One of our meals was rice cooked from their own farm and it was delicious. Their Bajhangi language was quite different from that of ours – we were struggling to understand them. Some words were similar to Nepali words but some had twisted pronunciation. Overall, the people were warm and welcoming. We were glad to have received their kind hospitality. After completing installation at first two schools, we headed for the next one which was near Deulekh. This area was easily accessible in compare to the previous ones. Two hours walk was the longest for us to reach to the school. Nevertheless, it was tiring. But again, it all disappeared in our arrival when we saw happy faces of students and teachers greeting us warmly. Fourth school had the largest deployment with 42 XO laptops along with fourteen desks and benches. We also had to rework the electrical wiring in order to make spaces available for furnitures and laptops. Like Deulekh, Chainpur area was our next destination. The pathway of 2.5 hours of walk from Chainpur to school was easy, but with no one to guide us, we had to enquire with the locals on many junctions. At the school, teachers were quite excited and enthusiastic about the laptop program. We were thoroughly motivated by their response. As our next school was near to the same school, we decided to stay there for the night. Teachers had happily arranged our stay in their computer lab. The meal of evening (bread with curry and milk) was prepared at the school kitchen and it was really delicious. According to the locals, most people traveled to India and had worked there as cooks (hence, the reason for delicious meal). Next morning we headed for our last school which was around an hour away from the current school. As it was located quite near to the mountains, we got to see snow covered ones too closely. The view was beautiful and refreshing. It helped us carry our work smoothly – we were enjoying the moment. On our way back, we were feeling really cold and increased our pace a little to stop by a shop for a break. Narrow width path and the height of a hill was frightening during that time of the day. We had such an adrenaline rush. We would have gone down the hill in one slip. Even though we were very careful, our friend Sawal had a minor accident. 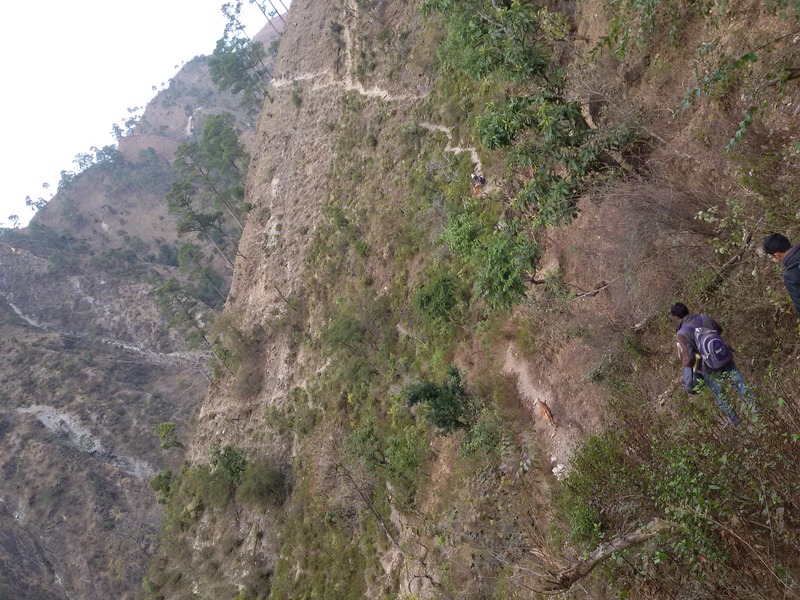 He twisted his leg and had to use a walking stick to reach Chainpur. 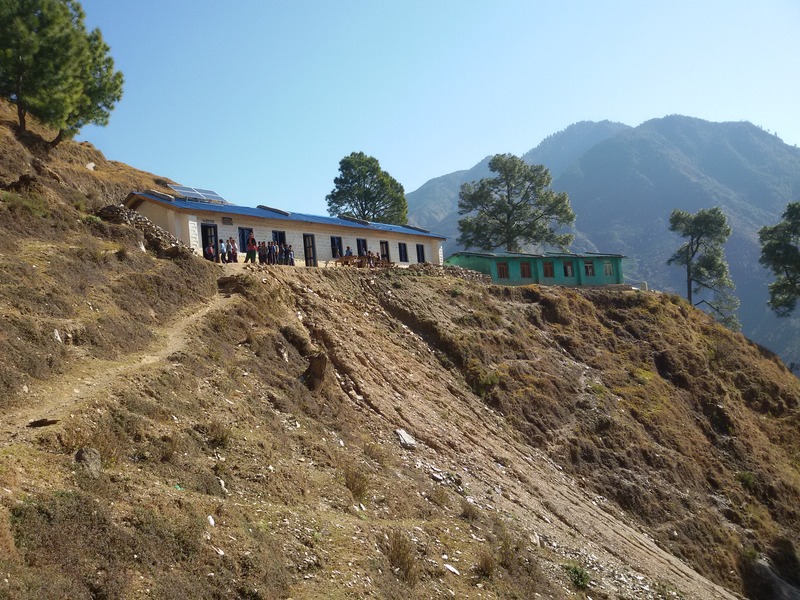 Apart from all the adventure of hiking up and down the hill, we successfully completed deployment and installation at newly selected schools of Bajhang. It still feels good to remember those faces of students and teachers delighted with the joy to use laptops in their schools. On our way back to Dadeldhura, the snowfall delayed our journey but we managed to reach our hotel that evening. We also conducted support visits to two schools in Dadeldhura and I was so glad to visit our project schools of four years back. It was delighting to see the schools still applying this innovative approach to learning which was helping students learn different concepts interactively. Our fourteen days long deployment journey had completed. Regardless of all the adventures faced during deployment, the satisfaction came with the completion of our duties which was eventually going to help students have access to quality learning resources which was missing in those areas otherwise. I hope to see some amazing improvement among the students in my next visit to Bajhang.